Click an image to open a printer-friendly version in a new window. 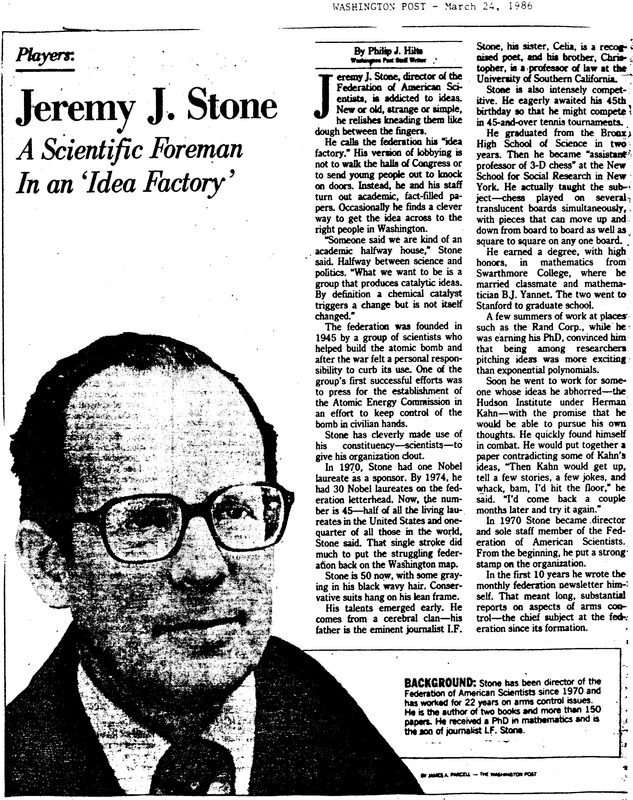 "A Scientific Foreman in an 'Idea Factory'". Washington Post. March 24, 1986.